I would like to build a remote controlled car. And if someone already has a good solution for that I would be glad to try it. It's been a while since I had the time and material to build some LEGO creations. And now I am willing to start anew. Last time I toyed with LEGO there were electric engines and such, but all I had was remote controlled with a cable and the functions were very basic. I am looking for a more advanced and wireless solution. I am aware of the Power Functions. But I have no experience with these. Would these be a good start? What are the other options? 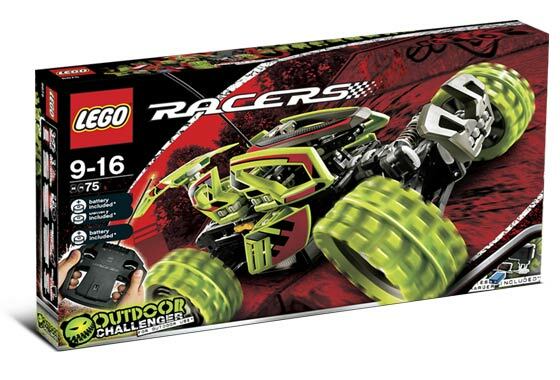 It seems there was an official line of LEGO RC cars at some point. I was thinking about something more like it. Although I'd like to avoid cutting and gluing 3rd party components I don't mind hacking a few parts together to get something really cool. As suggested by @pcantin there are adapters I could buy to interface LEGO with 3rd party engines etc... I will look into it. But I would appreciate some better pointers in this regard. Edit I am already aware of the Power Functions IR remote control It's a good solution to start with (now), but I was looking for something more advanced. I have never heard of Arduino before, but as a developer I am absolutely thrilled by this solution. I won't have the time to test it now. But it could become the answer I was looking for. I use a Mindstorms NXT brick and an Android smartphone for my remote controlled tank. The downside is that the NXT motors are slower than the regular Power Functions motors, and connecting PF motors to the NXT brick requires additional components. Personally I would go with Arduino (on the car) and an Android phone as the controller (via bluetooth). There's plenty of reference on the web about mixing the two. Edit 1 (Howto) Android bluetooth communication: There's the main page and the sample (I started from that one and modified it). You can also use the 'Sena Bterm' app to send and receive characters (no programming necessary but very basic). This code reads the incoming bytes and write 'test1' or 'test2' in return. Hardware: this is the coolest part because you get to do what ever you want. I personal use a lot of Lego Technics and sometime modified them to interface with foreign parts. 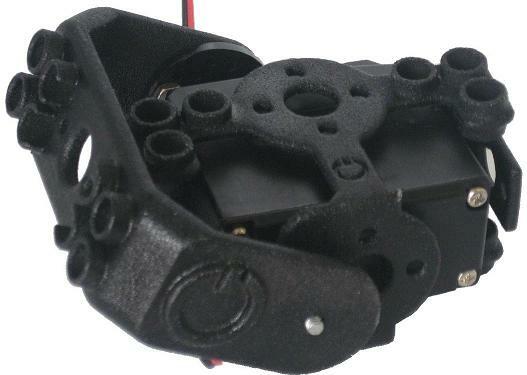 Search the web and you'll find cool Lego-compatible stuff like this servo joint, this servo bracket or this wheel. 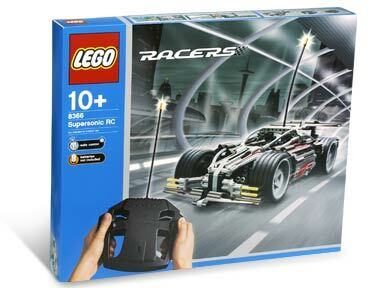 LEGO have produced an IR Speed Remote Control unit as part of their current "Power Functions" range. You will also need the receivers as well. The 9398-1: 4x4 Crawler is an interesting candidate with the new servo motor. It comes in 2H2012. There are more pictures on TechnicBricks. I saw an official Lego remote control car at the Lego Store once and I should have gotten it that day because I haven't seen it again. That said, with Mindstorms and a bluetooth enabled phone it should be possible to build one one your own. Not the answer you're looking for? Browse other questions tagged technic remote-control power-functions mindstorms 3rd-party or ask your own question. Is a N2 or CO2 paintball tank a viable power source for a LEGO pneumatic Engine?